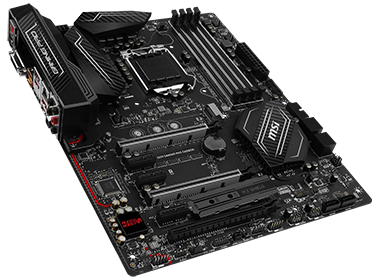 MSI is facing the same opportunities and challenges that are present for every manufacturer of Z270 chipset-based motherboards. 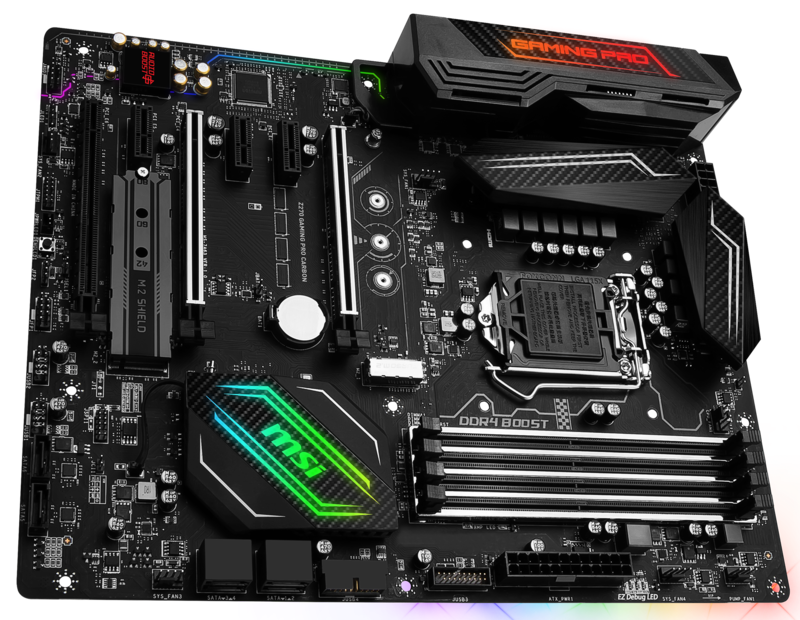 On the one hand, enthusiasts that already have the Z170 are likely to find few reasons to upgrade, while anyone new to the desktop platform should gravitate to the new chipset but may be wary due to the higher cost than similar Z170 motherboards already on the market. 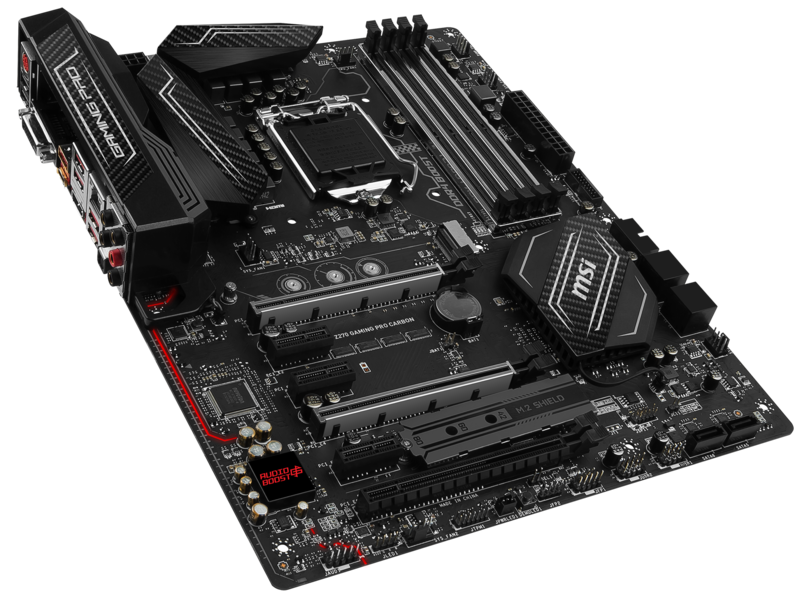 However, MSI believes that its latest raft of boards are genuine improvements over the Z170 models, and there has been enough behind-the-scenes work for them to command attention. Let's examine that assertion as we take a closer look at the Z270 Gaming Pro Carbon, which is the logical successor to the Z170A Pro Carbon. The two boards are quite different, actually. MSI now includes a much larger shield over the circuitry lining the top-right of this board, ostensibly for EMI shielding and the now-obligatory LED lighting. MSI calls this 'Mystic Light' and it's also present on the bridge heatsink near the centre. The company doubles the number of effects and provides RGB extension by way of a header on the edge of this board. Like the Z170A version, a row of LEDs are also present underneath the near edge. The effect is nice but not as bright or obvious as some of the pictures on MSI's site. All lights are controlled by the same overarching Gaming App. Note that this is present in Windows only; there's no option in the BIOS to toggle the LED colours. Those who want an all-black aesthetic can however turn off all lights via a hardware switch. 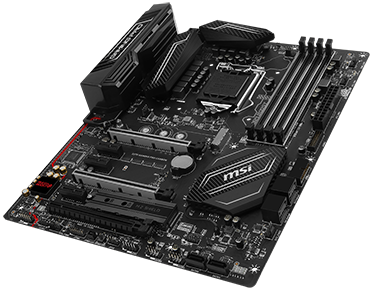 Strengthening motherboard slots is also in vogue, and MSI applies this thinking to the DDR and the two uppermost PCIe x16. We can understand why you might want it on the graphics, with many 1kg-plus enthusiast cards on the market, but the memory appears to be for looks alone. Whatever the case, the effect is nice - plonk some Corsair Dominator Platinum in for an attractive look. 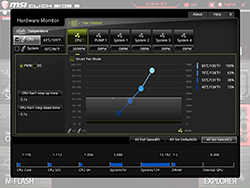 What's more, in concert with the competition, MSI says it has optimised the trace layout of the memory channels for improved performance. We'll put this to the test in our overclocking section. 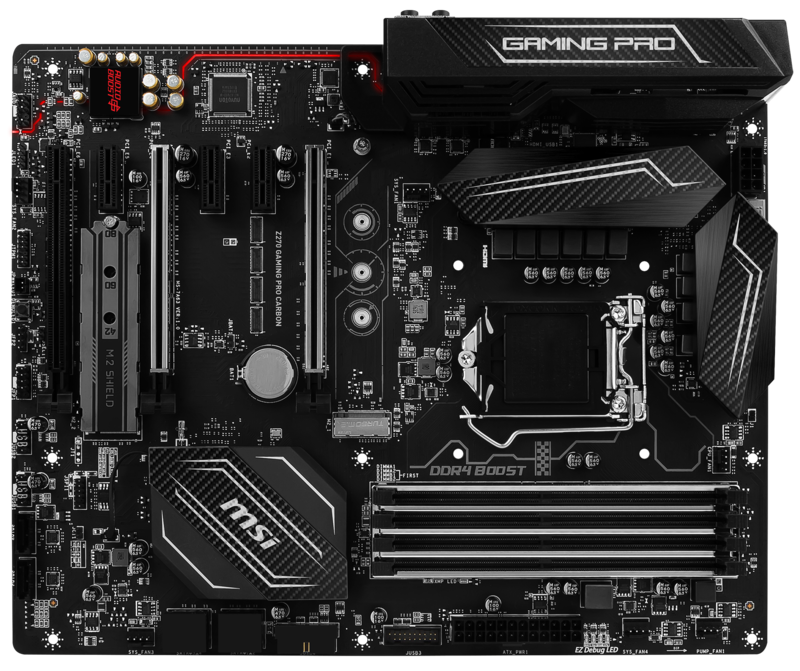 Elsewhere, MSI beefs up the power circuitry to the CPU and memory by adding a further three phases on top of the Z170A's eight. Power is more fine-grained, as well, with the implementation of a digital controller. This may not mean much to anyone at stock speeds though should offer better, more stable performance when pushed to the limit, which is particularly useful as the 7th Generation Core processors run at higher frequencies than their Skylake cousins. More pragmatically, the heatsink redesign means that it encroaches less on the CPU fan header than on the previous board, which we found to be a little too close for comfort when attaching the cooler's fan; you can push the header in without having to mess around. Extending this protection line of thinking is the shielding - along with an internal thermal pad - for the lower M.2 slot, most likely because these SSDs become pretty warm after extended use. MSI now has a second, unprotected slot above the primary PCIe x16, meaning doubling of the storage possibilities compared to before. And given that we're dealing with Z270, there's support for the Intel Optane technology, too. The extra four PCIe lanes present on the chipset enables motherboard guys to offer more storage expandability. The fan system has also been overhauled for the Z270. This board's six fan headers all support DC/PWM modes, and this means they are fully controllable from the BIOS or via the Command Center app within the operating system. As MSI expects some purchasers to use watercooling, there's a dedicated header that offers more juice for better control of the pump's speed. Guess what? Audio Boost 3 is now Audio Boost 4. What this really means is the Realtek codec is upgraded from the very common ALC 1150 to the all-new ALC 1220. Poring over specifications shows a marginally enhanced signal-to-noise ratio - the model numbering gives the game away. We like the decent amount of space between the two PCIe x16 slots and that the right-hand one is far enough removed from the DIMM and cooler spaces as to make installation easy. Of course, the M.2 has a home between them yet is considered more of a fit-and-forget peripheral. 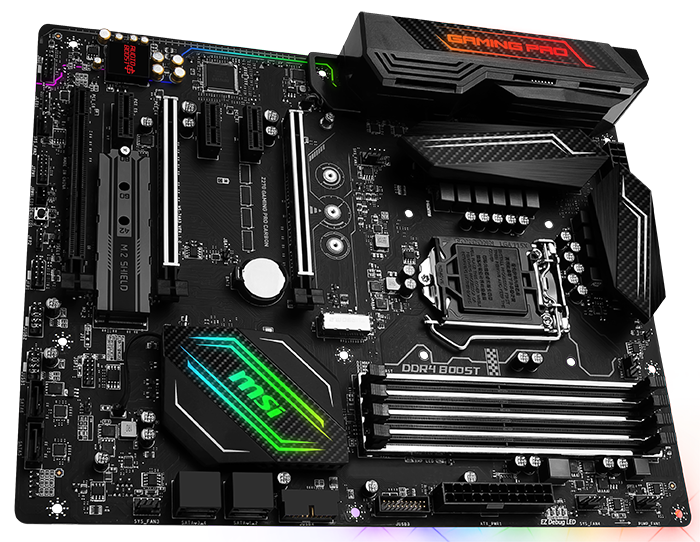 Indeed, most of the improvements that we have discussed here are also applicable to other upgraded boards in the Z270 range - it is a series-wide enhancement strategy. For users like us, onboard power and reset buttons are useful, as is a debug LED, but those features are not present on this midrange board. Interestingly, the SATA Express header gets the chop, intimating that the standard never really took off. 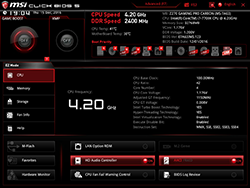 Intel still doesn't integrate USB 3.1 connectivity into the chipset, so while MSI had a single port on the Z170A model (ASM 1142) it now boosts it to double-speed USB 3.1 Type-A+C (16Gb/s bandwidth) this time around, made possible by using ASMedia's latest 2142 controller that connects to the chipset via PCIe x2. 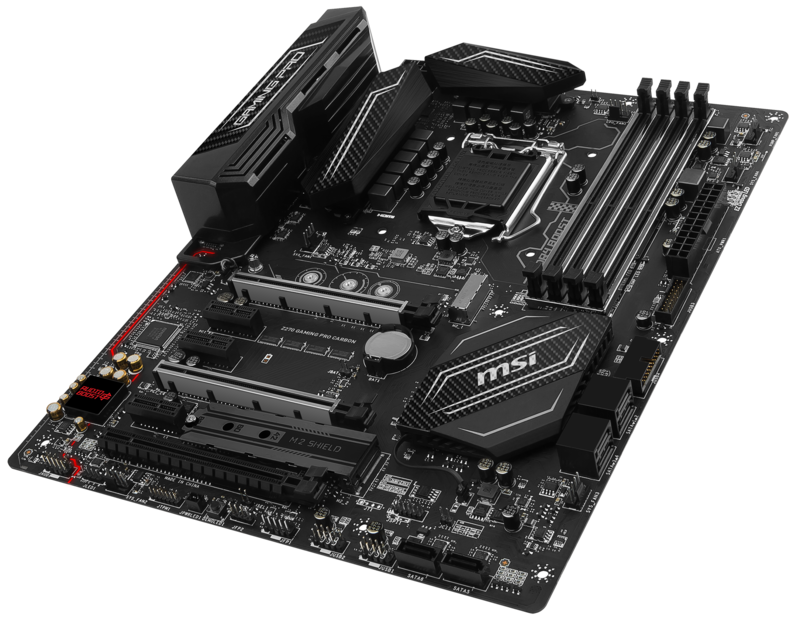 MSI has realised that Intel isn't bringing a whole heap to the chipset table in the move from Z170 to Z270. Rather, the Taiwanese company has decided to upgrade what it considers the key performance and visual elements of the board, so while the name stays the same, there has been enough of an improvement to warrant the £10-£15 increase on the older model. 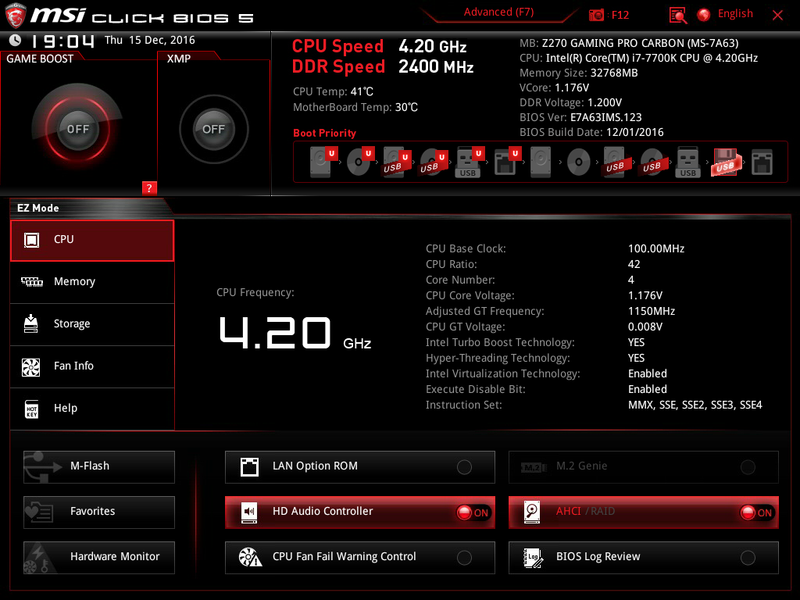 The firmware remains Click BIOS 5, already present on Z170 and X99 boards, but that's no bad thing. It is simple, intuitive, and has the usual options of simple and advanced (F7). 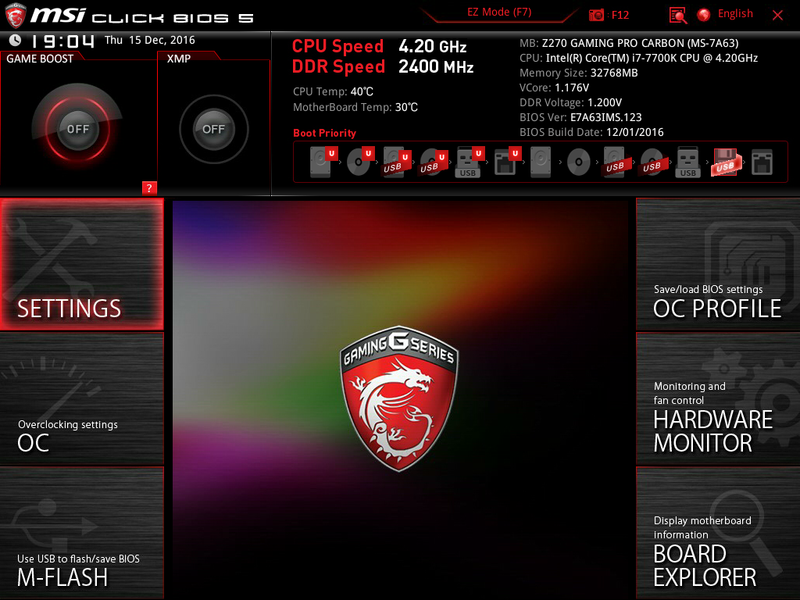 BIOSes are becoming less important over time as their functionality is replicated within Windows, but for those enthusiasts who like to tinker without having extra software installed, Click BIOS 5 does a good job. 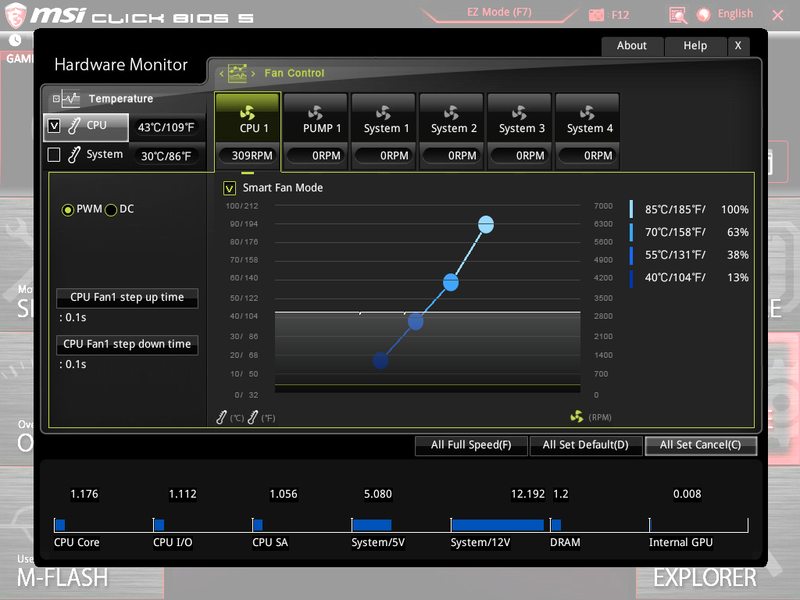 We're impressed with the fan-control system, which plays an important role in today's super-quiet builds, and Click BIOS 5's dedicated Hardware Monitor is tasked with controlling speeds based on temperature. 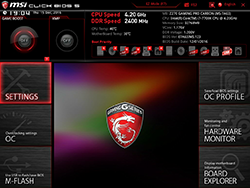 The mechanism is popular with fans of MSI boards, as the drag-and-drop curve provides a good level of customisation. We're in a good position to judge a BIOS because we come across so many, and we would prefer it if the firmware-update sequence was quicker - it takes a while for the board to go into the M-Flash utility, reboot into a flashing mode, and then through the sequence. Rival boards miss out a step in the name of expediency. But that's a minor gripe. The Windows element is known as Command Center and generally replicates everything you see here. There's nothing obvious that's missing in either, so, much like the board, the firmware is up to scratch.